Enjoy convenience, style, and greater home value at an affordable price with our expert basement bathroom finishing services! 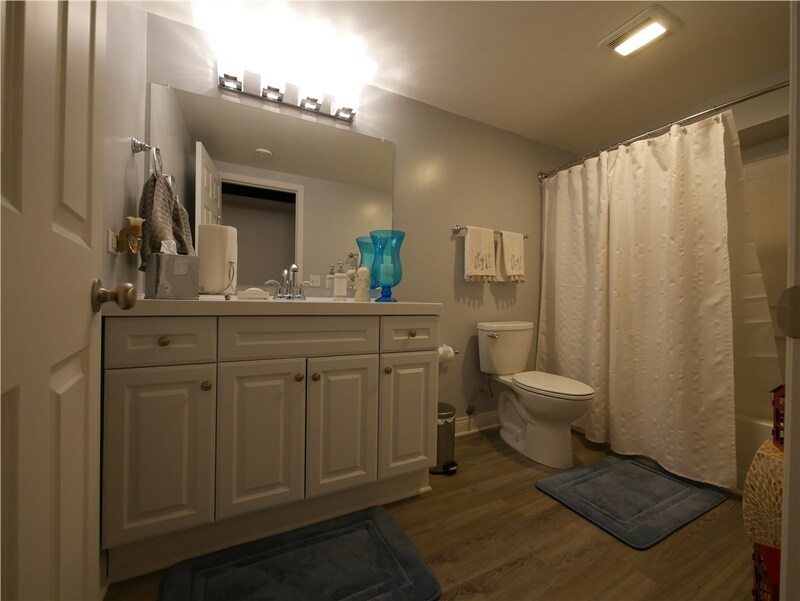 There are countless ways that you can utilize your basement as a living space in your home, but any area is enhanced with the addition of an extra bathroom! For Farmington Hills basement bathrooms that are customized, mold-resistant, and built to last, Matrix Basement Systems has got you covered. 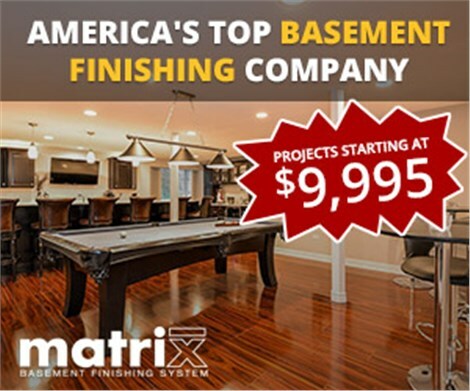 Not only do we manufacturer our own wall products, but we are America’s #1 basement finishing company, and we’ve help over 3,500 homeowners get the living space of their dreams with our exceptional finishing services. 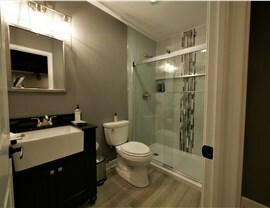 In-Depth Design Support: Your home is unique, and your basement bathroom should reflect that! Our team of designers will work with you to choose the right features and elements of your bath space to create a room that is as functional as it is beautiful. Industry-Leading Products: Quality is guaranteed with the professionals at Matrix Basement Systems. We work with industry-leading brands to bring you top-to-bottom remodeling options backed by a comprehensive 50-year warranty. Moisture and Mold Protection: Basements and bathrooms can both have issues with moisture damage, but our wall systems and basement finishing products are 100% resistant to water and mold—protecting your family and the quality of your indoor air. 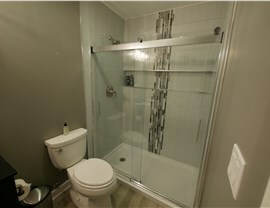 Highly Competitive Pricing: Getting the basement bathroom of your dreams doesn’t have to cost a fortune! Our innovative system allows us to offer remodeling solutions that come in at less than 50% of the average industry cost. 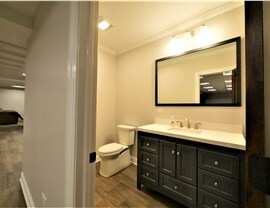 Get Started Today with Creating Your Basement Bathroom in Farmington Hills! When you’re looking for the experts in Michigan basement finishing, Matrix Basement Systems is the company that you can trust. 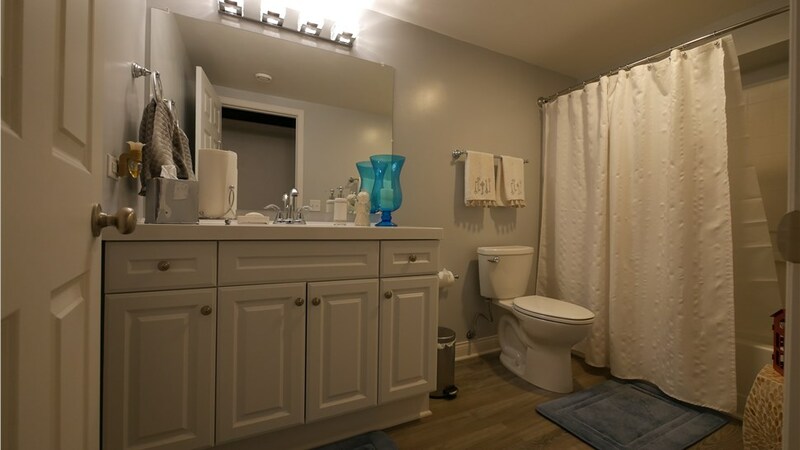 Start designing your dream bathroom today by giving us a call to speak with one of our experienced remodelers, and learn more about what we have to offer. If you’d like to request an appointment for your free estimate and consultation now, fill out our brief online form.